The Today show line-up won’t look anything like this in 2019, with all but one likely to be scrapped. NINE'S troubled breakfast show will look vastly different in the new year, with an almost complete clearing of the decks in a last-ditch bid to save it. Today's new executive producer Steve Burling is understood to be finalising a cutthroat plan to not just tweak things, but tear them down completely. And on January 14, he will unveil those efforts with a totally revamped show, complete with a new-look hosting panel and fresh format. 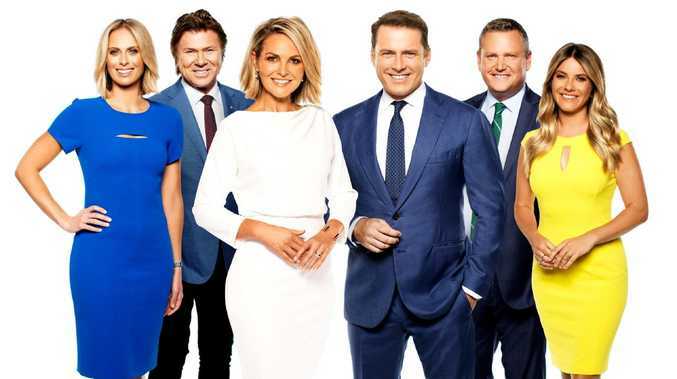 This is an inside look at who's safe and who will be shown the door, on the heels of the departure of veteran co-host Karl Stefanovic this week. Sylvia Jeffreys jetted into Brisbane after a brief holiday in Los Angeles with husband Peter Stefanovic, who departed Channel 9 this week after more than 14 years. 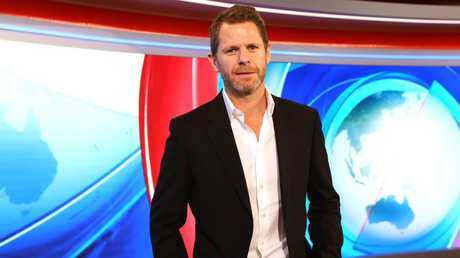 He had swapped life on the road as a foreign correspondent for on-air hosting duties, most recently at Weekend Today. But the infamous Ubergate scandal, in which he and brother Karl ranted about colleagues and network management for 45 minutes, saw his stocks plummet. Now, attention has turned to Jeffreys' future as Today's newsreader, with multiple insiders telling news.com.au that she won't return to her role in 2019. 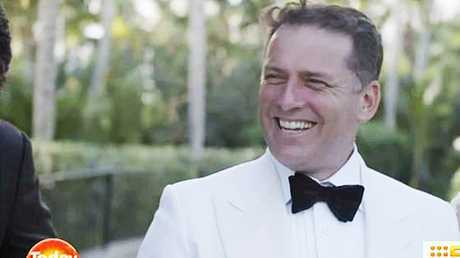 Brothers dumped — Peter and Karl Stefanovic were both dumped this week in sensational circumstances. But it's not a punishment. She is expected to be tapped for a new gig in prime time that reflects her bright future prospects. "SJ is very popular," a Channel 9 source said. It's understood that conversations between Jeffreys and network executives have been under way for more than a week. On Wednesday, Darren Wick, director of news and current affairs, added to speculation that Jeffreys was set to leave the breakfast show. He wouldn't address the claims directly, instead saying she would play "a huge part" in Channel 9's plans for next year. "She is a gifted, hardworking journalist and presenter and we look forward to continuing to work with her," Wick said. "She is contracted with Nine until the end of 2020. Any reports or speculation that she is leaving Nine are incorrect." The respected broadcaster, who worked her way up the ladder as a journalist in Brisbane before relocating to Sydney, is well-liked and has a reputation as a tireless and tenacious employee. As one Sydney television insider told news.com.au: "Her leaving Nine would be a huge loss. She's a hard-worker." Hot favourite to replace her in the news role at Today is Tracy Vo, a Perth-based journalist who is seen as a rising star. 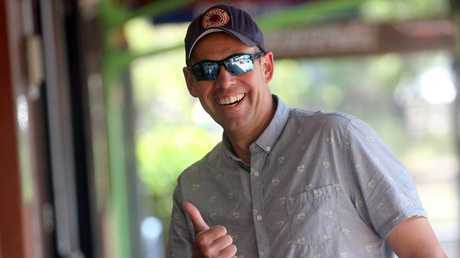 Veteran entertainment correspondent and social scene regular Richard "Dickie" Wilkins is also unlikely to stay at Today in a visible capacity. Speculation is mounting that he will depart, part of Burling's vision for a completely new-look show that is "out with the old". Channel 9 confirmed on Friday afternoon that Brooke Boney, who has just finished as a breakfast newsreader on youth radio station Triple J, will join Today as entertainment reporter. Veteran personality Richard ‘Dickie’ Wilkins is expected to be another casualty of the Today show clear-out. "He's such a legend in the business. It's such an exciting time to be joining Nine and I am looking forward to learning from everyone on the Today team. As a young girl growing up in the country I watched Today so it's really awesome to know it'll be my new home." Reports of Wilkins' exit first emerged at the weekend, when The Sunday Telegraph quoted sources as saying Burling wanted new blood. He will remain entertainment editor at the network, but won't regularly appear on Today. Sports commentator Tim Gilbert could be another casualty of the overhaul of the Today show, with reports that he won't return in 2019. While he is well-liked by colleagues and committed to his job, his presence isn't seen as being significant and viewers probably couldn't name him. For that reason, Gilbert would likely be moved to a job elsewhere at the network. Burling is well aware the show hasn't been working for some time, with efforts to claw back departing viewers having failed this year. Rather than a renovation, the executive producer will completely tear it down and almost completely rebuild it. Expect a slew of fresh faces - a mix of younger and older talent - and a shift away from gimmicky television towards news. 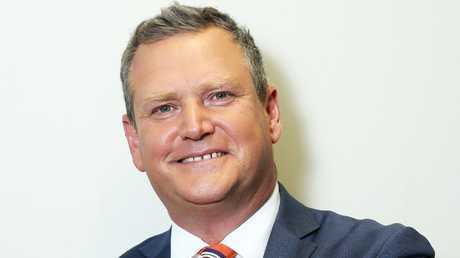 Industry commentator David Knox, editor of the blog TV Tonight, told news.com.au this week there were countless opportunities to shake up the tired format. "Today's biggest competition isn't Sunrise, it's breakfast radio and the 8.10am train," Knox said. "Nine's strength has always been in news. Go hard on overnight news - leave the debates and cash-call giveaways to the other mob." Success is likely to be slow, he said, although Nine's decision to relaunch on January 14 - ahead of the kick-off of the new ratings year, but coinciding with the Australian Open broadcast - will help it make noise. "Steve Burling has a helluva job on his hands to signal wholesale change to the audience in order to bring eyeballs back to the show," Knox said. Georgie Gardner could be the only survivor of the Today shake-up — for now. Picture: David Swift. A number of names are being bandied about, but the ultimate say rests with Burling. 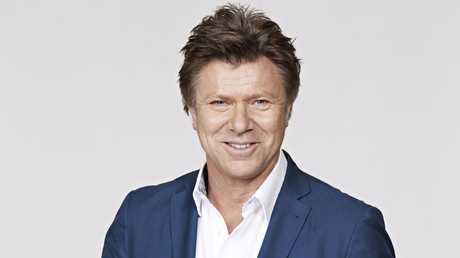 Brenton Ragless, an Adelaide broadcaster currently filling in on Today, is one potential candidate for the main job. Sarah Harris, who was part of the Today team before jumping ship to Ten to be part of the Studio 10 presenting team, has also been mentioned. However, she's locked into a contract and defecting would be difficult, it's understood. Another idea being floated is for an all-female hosting line-up, with Alison Langdon one of the names being considered should that move get the green light. The fate of another regular, Natalia Cooper, is unknown at this stage. 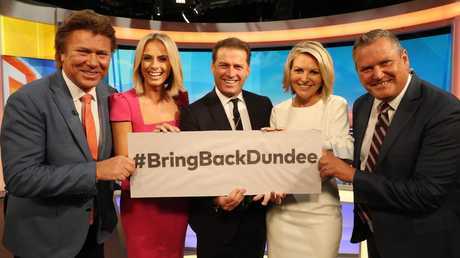 Darren Wick, the network's director of news and current affairs, said in a statement on Wednesday that the new line-up and format would be announced "in the coming weeks". 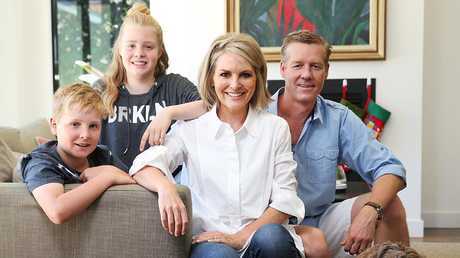 Georgie Gardner at home with her husband Tim Baker and kids Bronte and Angus Baker with their dog Wilbur. The focus now shifts to co-host Georgie Gardner, who is likely to be the solo survivor of the Today clean-out. "They can't ditch absolutely everyone," a well-placed source speculated. "They need some stability … Georgie is likely it." But it will be an uphill battle for the presenter, who sources tell news.com.au is regarded by some in senior positions as stiff and cold. 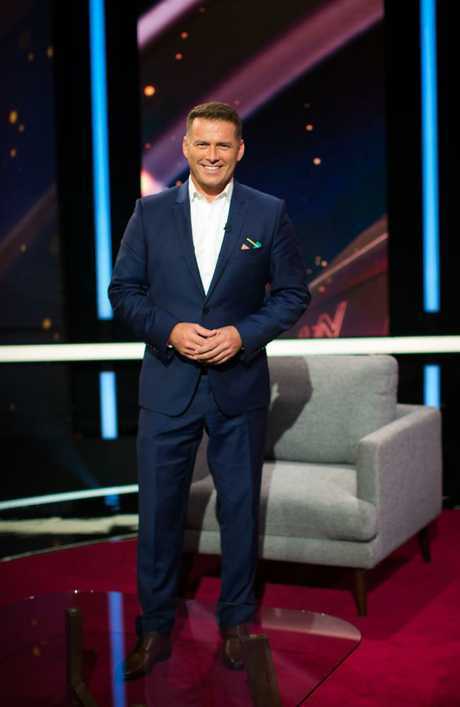 Internal research has apparently shown that viewers haven't warmed to Lisa Wilkinson's replacement, who Karl Stefanovic once described as "humourless". RELATED: Where did it all go wrong for Karl Stefanovic? In that infamous Uber slagging match, he spoke of the need for Gardner to "step up" and bring more to the table. It's a view that others share. Expect a publicity campaign to begin the new year, to re-sell her to sceptical viewers. "She's nice but she's boring," a production insider said this week. 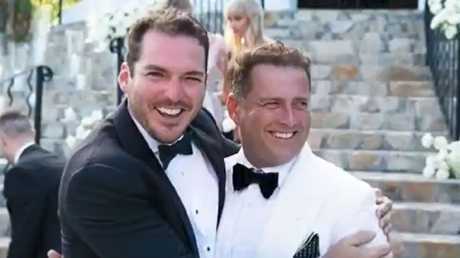 On Friday morning, Karl Stefanovic and new bride Jasmine Yarbrough landed in Sydney after their flashy wedding in Mexico and honeymoon in Aspen in the United States. It was while enjoying downtime with Yarbrough in the ski destination, popular with the wealthy and famous, that he received news he was being dumped. Production on Stefanovic's other project at Channel 9, the heartstrings-tugging series This Time Next Year, is due to wrap in early March. When it goes to air, it might not be in the prime time position it once enjoyed, with sources telling news.com.au it could be "burnt" in a secondary slot. Stefanovic is on contract with the network until the end of 2019, reportedly for a click shy of $3 million, so that's an expensive salary for minimal work. Karl Stefanovic’s show This Time Next Year is due to wrap production in early March. It's expected that when This Time Next Year is in the can, he'll likely be cut loose and paid out of his contract. "There's no value in keeping him," one insider said. Whether he decides to attempt a revival of his broadcast career remains to be seen, with industry insiders tipping that few networks would be interested at this stage.